So I haven’t written in forever. Life has been busy. Pumpkin 3 joined our family. A baby boy. The kids were thrilled but it was a surprise as we were thinking maybe it was a girl, but the way he kicked me made me suspect a boy. He was a strong baby! He’s a cute little stinker. And he brings so much joy to our family. So, after I was sick for months we took things easy with a more Waldorf approach. I rearranged our playroom with natural wood shelves, baskets and more natural toys. The kids loved the wooden toys (they play with their wood farm animals more than the Schleich animals). In January I got back to serious homeschooling with Pumpkin 1. However I felt like Montessori was very demanding of me – making new materials, buying new materials and Pumpkin 1 was getting bored of them all. I felt like I was floundering. I wanted, needed, something to tell me what to do every day. Also with a new baby coming I needed something where I can sit back more and homeschool from the couch. So I’ve moved to Charlotte Mason. I still mix Montessori materials in and am using it with Pumpkin 2, especially the approach to language and the sound game. But my kids love being read to and so the literature approach of Charlotte Mason is great for them. Here’s the curriculum we are currently using and it’s working great! 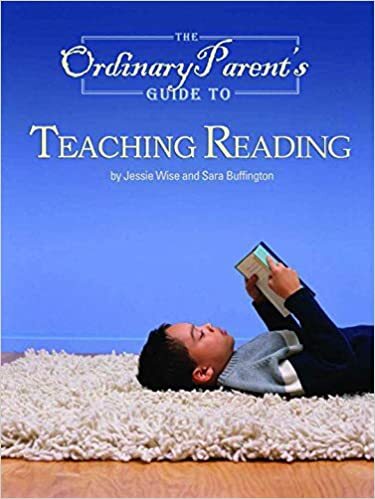 All About Reading 1 – This program is great and multi-sensory. The readers are excellent. No prep work for me. Explode the Code 1,2,3 – (I use them for extra practice reading. We skip lots of pages. Pumpkin 1 doesn’t like reading the lists of words in AAR and prefers the activities in these books. I found book 2 really filled in what seems to be a gap in AAR with consonant blend practice). 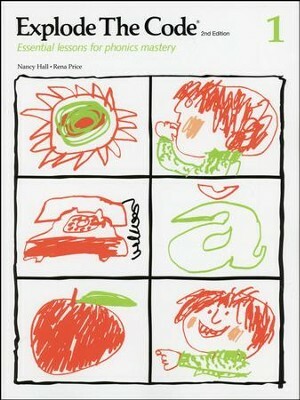 Handwriting Without Tears Kindergarten – We worked through this book pretty quickly. It’s wonderful. I like the way it taught to form the letters and the chalkboard wet and dry tracing. Simply Charlotte Mason Copybook 1 – When we finished the HWT we moved to this. Pumpkin 1 really enjoys it. I was surprised but she likes that it’s not twaddle writing. I only ask her to write a page a day and to do her very best. RightStart Math A 2nd Ed – Love, love, love this program. Short lessons. Great manipulatives. Teaches mental math. Lots of games. Thinking Skills and Key Concepts Kindergarten – Teaching critical thinking is often overlooked but I feel it’s very important. Mind Benders 1 – These are fun puzzles to figure out. Pumpkin 1 likes doing them however both programs together add up so I’m not sure I will continue with this series next year. Story of the World Vol 1 – We’re using this as a spine and adding in Living books. There’s 4 books in the series and you cycle through them so that you can teach multiple ages at once. 106 Days of Creation from Simply Charlotte Mason – A great, simple, science program that can be used with multiple ages. 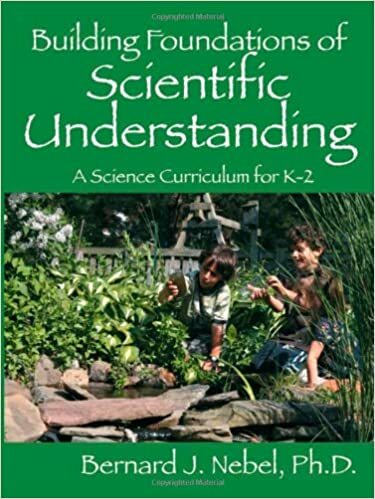 I really like Building the Foundations of Scientific Understanding but will use that next year. Canada, My Country – I’m stretching this out over 2 years. It’s a simple introduction to Canada with reproducible pages. Living Books – I’ve gather together several stories about life in 3 continents – South America, Asia and Africa. French – I hope to eventually get the Cherrydale Press curriculum. Right now we focus on vocabulary, watching Little Pim or French stories read on YouTube or shows and I try to improve my French. German – I found this great free German program which the kids love. There are songs and videos and there is a whole curriculum though I just stick to the online stuff. I’m using this great Charlotte Mason outline as a guide. I’m not doing An Island Story or Trial and Triumph or the Biographies and I’ve added in the above Geography/Social Studies, Science and History curriculum. With the baby coming, and because I’ve started Ambleside Year 1 early, it may take us longer than the 3 terms to get through it. Since I started early we can take a break as needed and not have to worry about getting behind. This is our “kind-of” daily schedule. I say “kind-of” as it’s just a guide. We don’t really follow the times given and I often switch the order of things depending on how things are going or what we feel like doing and we also skip things. This just gives me a reference point so I can make sure we cover everything I’d like to cover. I’m not a great cook by any means. But, sometimes, I throw together a meal that turns out really good. I share it here because maybe someone else will like it and so I don’t forget how I made it. The other day I put together this Spaghetti recipe which was a hit with the whole family and it was super simple. Cook the pasta noodles according to package directions. While it’s cooking brown the ground beef and drain. Add the mushroom soup and 1 cup of cheddar cheese and some Parmesan cheese (however much you’d like, I just sprinkle a bunch from the jar) and heat, mixing well, until melted. Drain the pasta and put it back in the pot. Add the ground beef mixture to the pasta and the jar of pasta sauce. Mix well. Top with 1/2 cup or more of cheddar cheese and sprinkle of parmesan. Cover and let the cheese melt then serve. Yum! So I’ve been away for a while. I’m now 17 weeks pregnant. I’ve mentioned before that I suffer from Hypermesis Graviderum when pregnant. This has been my worst pregnancy so far. I spent 2 weeks in hospital and had to get a PICC line for TPN which made me worse and was eventually used for my IV meds. I spent October and November bedridden and lost 18lbs. Thankfully I’m now through the worst of it and am slowly recovering. Baby has stayed strong through it all (if you’ve been reading my blog for a while you’ll know I had a miscarriage at 13 weeks two years ago and so this is always a worry). However my pregnancy has not only been difficult for me but for my husband and children as well. My husband has been amazing taking on all the responsibilities and taking care of me. The children suffered a lot and many behavior problems came up due to lack of consistency, attention and boundaries and way, way, way too much TV. As I was recovering I began to plan how our life would look when I was well and what we’d do about homeschooling. I felt that the nourishing routines, simple, natural toys, and quiet rhythm and activities of Waldorf was really what our family needed as we healed from this difficult time. Having a mother sick and in hospital is very traumatic for a child. Their world is turned upside down, their mother doesn’t have time for them and needs to be alone, she’s hooked up to wires and nurses come, they don’t understand what’s wrong and it’s scary to see her sick. So I’ve rearranged the playroom (again), we’re not doing any formal school for December and are focusing on creating a rhythm, stories, songs and traditions of Hanukkah. I purged toys and they will be getting more natural, Waldorf inspired gifts for the holidays. I still have a lot to put back in order in my home but my strength is limited so I’m careful not to push myself or I relapse. In the new year I’ll do a video of our new play/school room. One thing I changed was to put the dollhouse in the basement (I’ll probably sell it) as it was so big and was rarely played with. I put the lovely Plan Toys furniture in a basket and the kids love creating their own house with blocks. It’s so much more imaginative and saves on space. And now the furniture gets more play. When I started off with Montessori 2 years ago I thought I needed all the materials. They each have a specific purpose and skill they teach and they fit together in a perfect way. I thought if I skipped one I’d miss something. But over time I realized that a home won’t be exactly like a Montessori classroom. Without the other children and without the set up of a specific class with only Montessori materials available, things are different. Things work differently. Things have to be adapted. And most people don’t have the money or space for all the materials. So this is what I would have done differently. What materials I would have skipped or substituted or made myself (or which I did make myself) and which ones I’m glad I have. Now what my kids weren’t interested in or loved may be different for someone else’s. Each child is unique. There isn’t one way or one answer, so these are just my experiences and thoughts. I’ve only included the materials that we’ve reached in our journey. There are more primary materials but we haven’t come to them yet so I can’t comment. I highly recommend getting a set of albums to understand the scope and sequence of each material to help you decide what you need. There are links to sites to purchase materials in the pictures and in the written text. It doesn’t have as many letters as the wood moveable alphabet (and is the wrong colours) so if you do want more letters then buying two is about the same price as buying the wood set. One set fits perfectly in this box. If money is really tight you could print off a paper version and the above box is a great way to store it too. I went with these sandpaper letters when I switched to print to use with Pumpkin 2. I actually really prefer them. The sandpaper is great, it doesn’t shed sand everywhere and they’re smaller which is helpful when it comes to storing. They come in a nice sturdy box. They’re not colour coded like the Montessori sandpaper letters are. It’s also pretty easy to make your own “sandpaper” letters from sticky back felt. 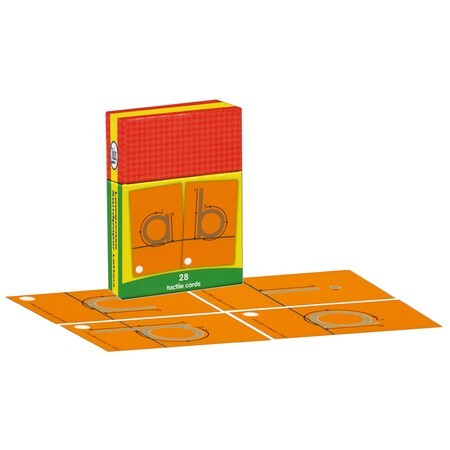 Another alternative is these grooved boards from IFIT Montessori. These have upper and lower case letters and numbers and other symbols so it’s great bang for your buck. You just need a stick of some sort for tracing. I have these and they’re great quality. These aren’t necessary. You can play the sound game with anything in a room or outside. However my kids do really like them. They like to sort them out. They can be a bit of a distraction though. I had a bunch from my mother (who is a teacher) and bought a set from here. Purchasing a set made things much easier and probably saves money in the long run vs trying to buy your own objects individually. Their set also was carefully thought out with many of the objects able to be used for CVC words and phonograms as well as tricky letters like infant for “i” and vacuum for “v”. One could also print off pictures. These are great to have for developing writing skills. They are super expensive though. However, there is a very affordable plastic version available on Amazon.com (and ships to Canada). I recommend having them. I’d say it’d good to have this. It’s still used pretty often by my kids. I haven’t found a set of stacking blocks the same. Having 10 is important (much of the sensory materials are in sets of 10) and the weight is very important (thus nesting boxes just aren’t the same). If you know a carpenter they could maybe cut a set for you. My son really loves the Brown Stair (mainly to drive cars down it which is a no no in Montessori but I gave up trying to stop him). However, if you’re on a tight budget I’d skip it and just get the Pink Tower. If you are going to get it go with the stained not painted version. My painted version has chipped a lot and I wish I got a natural wood one to prevent this. I don’t recommend getting the mini set of either. They just aren’t the same sensory experience. I’d rather skip the Brown Stair than have a mini of both. For some reason I love these and find them very satisfying to do. My kids were crazy about them from about 18 months to 2 and then weren’t interested in them again. Again don’t waste money on the mini set. Either skip them or Montessori Outlet sells the blocks separably so you could just get 1 or 2 blocks. If your child is 3 or older and you’re on a budget, just skip them. I don’t know why I like them so much but my kids don’t. There isn’t really anything that is a substitute for these. I’d recommend them. I’d probably chose them over the Pink Tower if funds were limited just since they teach a similar concept of size difference in many different ways. I wasn’t going to buy these but got them in an order mix up and kept them. However, they were almost never used except by Pumpkin 2 as swords. After a million times of taking them away and trying to get him to stop using them in dangerous ways or as a vacuum cleaner or lawn mower (?? ), I put them in the basement where they remain to this day. Personally I’d go with cuisenaire rods. They’re of course way smaller and different colours (so not one concept is isolated and you lose the weight difference) but they so much less dangerous and easier to store in a home. You could paint them all one colour if you wanted. When it comes to some of the sensory materials I feel free exploration is a better way to good. That’s my Reggio side. 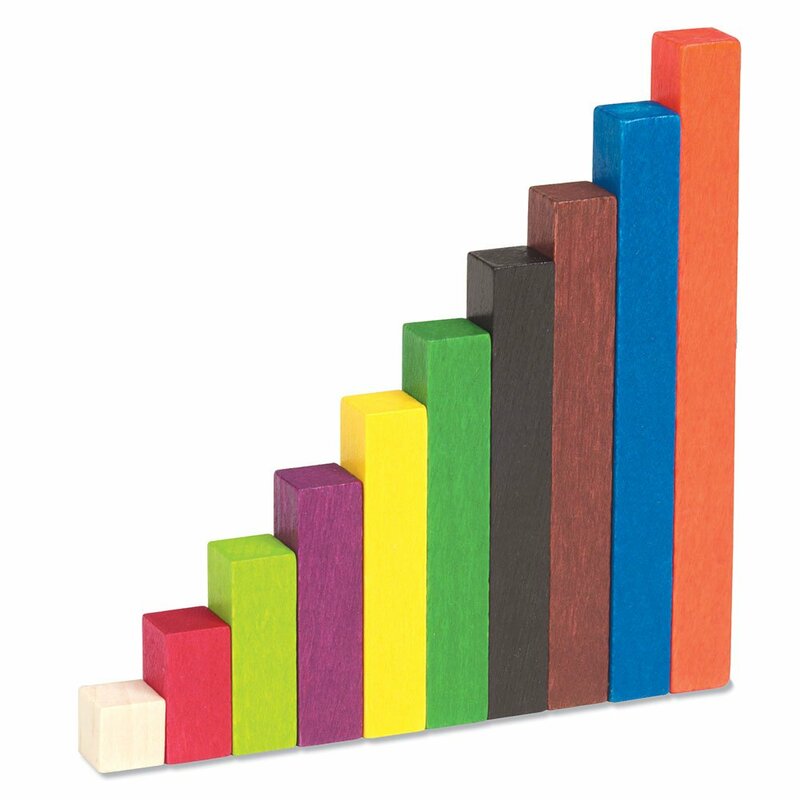 I’d rather let my kids play with a bunch of cuisenaire rods and learn through play. I’m going with the same philosophy when it comes to these too. Learn through play. 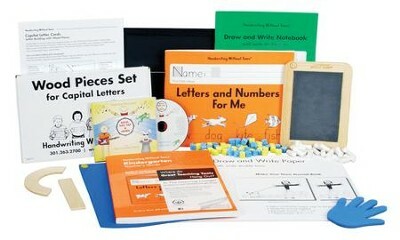 I really love this Learning Resources set and so do my kids. They’re great on the light table and so open ended. Another alternative is the regular pattern blocks. There’s a ton of patterns you can print off online for kids to use. 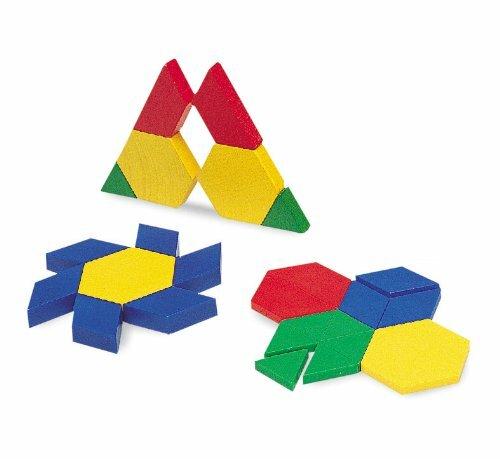 My kids prefer the magnetic pattern blocks though. 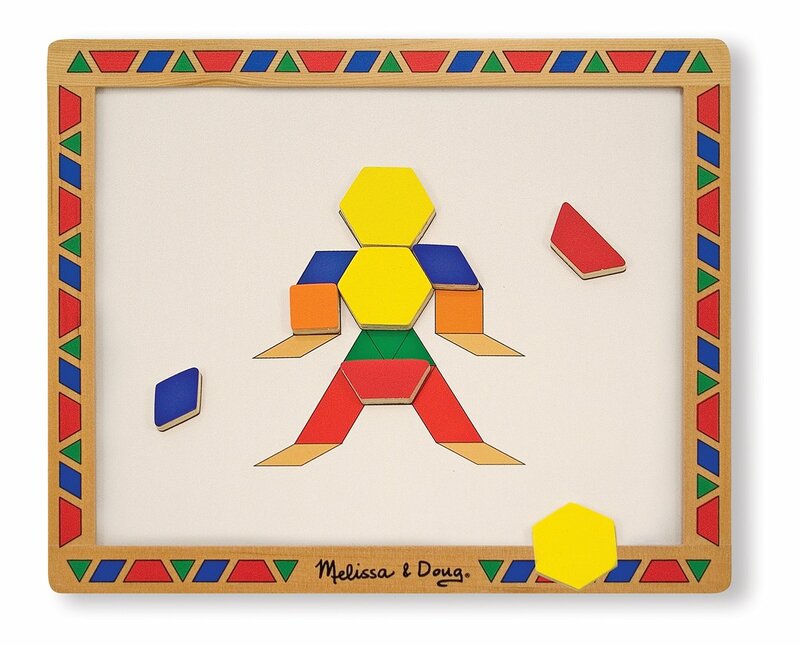 We have this set by Melissa and Doug and it gets used often though it’s not as durable. I also print off and laminate patterns and use them with the tiles on cookie trays. 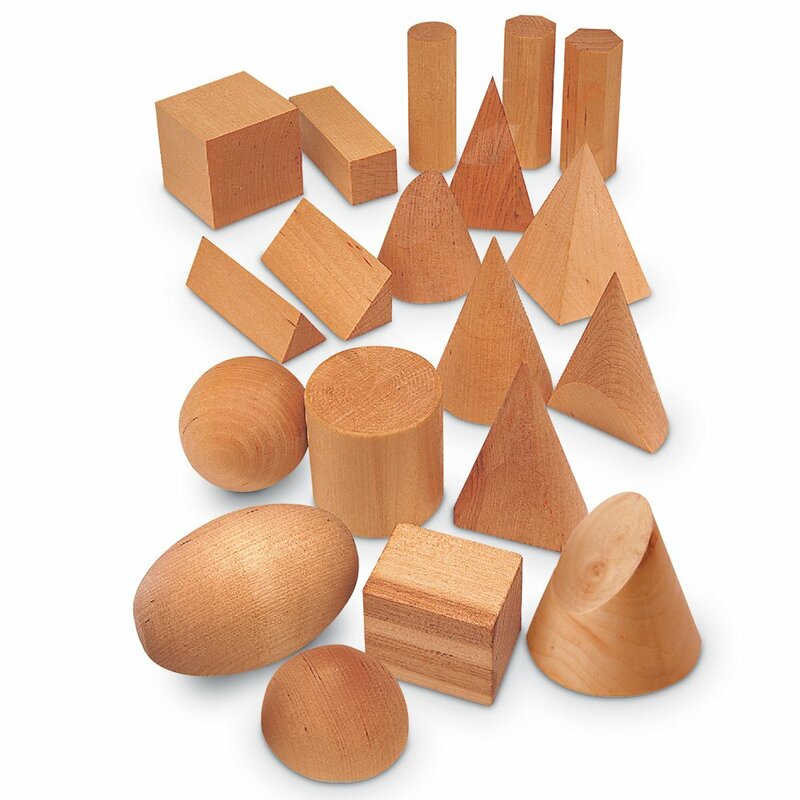 I haven’t found a set of Geometric Solids that has all the same shapes as the Montessori ones. I’d say it’s important that they be solid wood for the weight (not foam or plastic). The closest set I can find is this one. But it has shapes you don’t need, different sizes and doesn’t have an ovoid. You also don’t have the base pieces. But if you’re on a budget this is probably your best bet. My kids were just never interested in these. I painted a set of wooden peg people which my kids liked better but it was tricky to get the shades right. These are pretty popular here. But they’re not hard to make on your own. See the below link for lots of ideas. There isn’t really an alternative to these however they don’t get much use in my home. They may come in handy in the elementary years but they wouldn’t be first on my list to purchase of primary materials. However, as I’ve mentioned, some kids really loves them so you’ll have to decide for yourself. Way too expensive and bulky to make practical for home use. 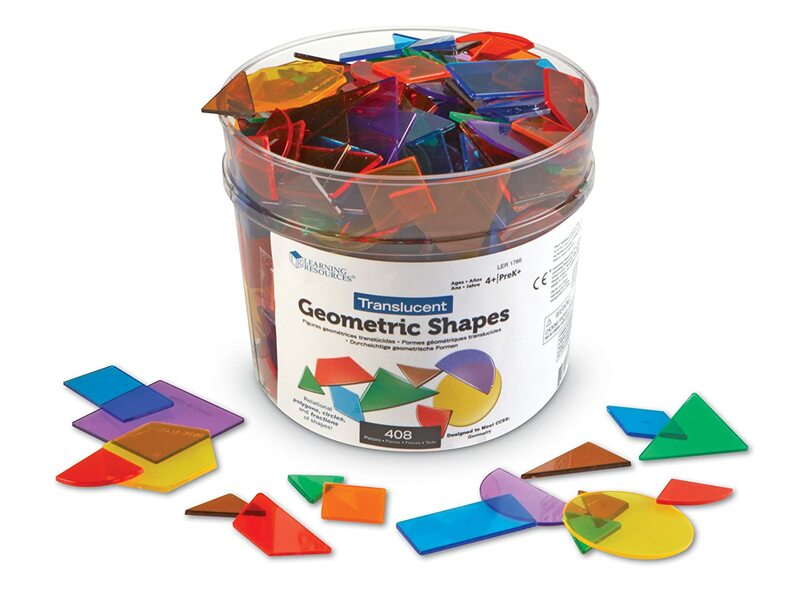 You can get shape puzzles and have your children trace them. You can also make templates by tracing them for kids to match to. 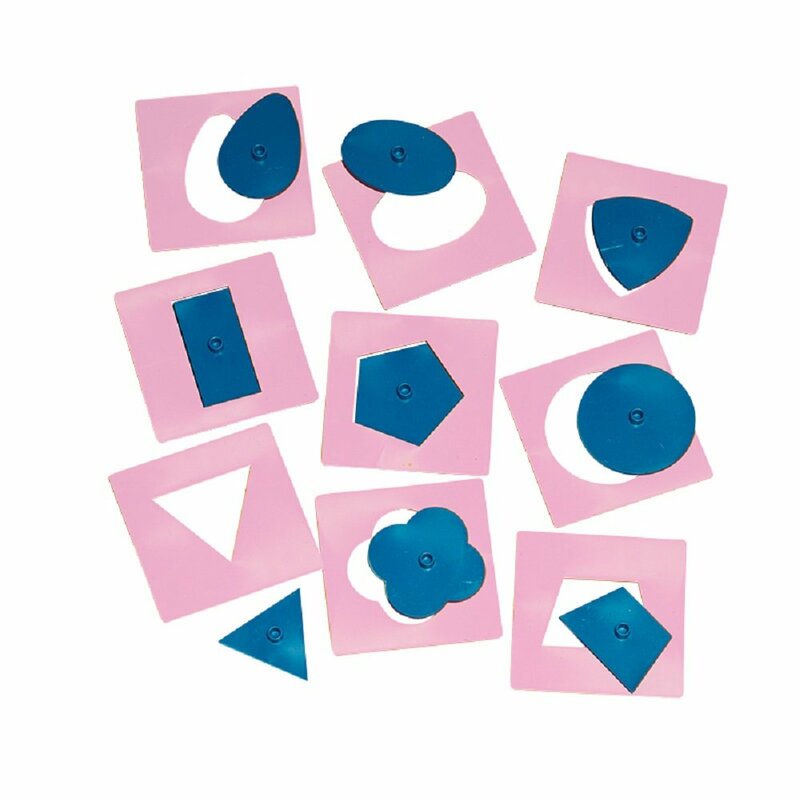 When it comes to the more complicated shapes there are lots of other ways to teach those. 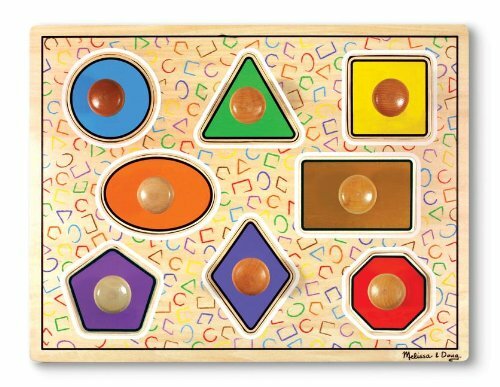 Smaller knobs are more desirable though as they teach the pincher grasp so have lots of regular wood puzzles with small knobs for your child to use. There are a few other materials like the thermic tablets, baric tablets, fabric squares, smelling bottles, etc…. 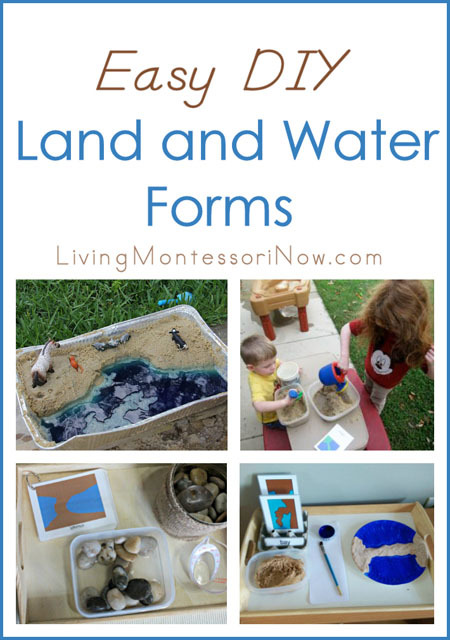 I think there are many other ways to do these sensory activities and some of the materials are easy to DIY. What you get really depends on you budget. Also many of these require you child to be blindfolded. For some reason my kids always insist on peaking which defeats the purpose. I only have the table top number rods and those have been enough. Honestly we’ve rarely used them. My kids picked up numbers and one to one correspondence without them. There’s so many ways to teach this, even just in daily life. You wouldn’t miss them if you skipped them. Counters can be anything – stones, buttons, cars, blocks, paperclips, candies. Fridge magnets can be the numbers. Here we are using pine cones we collected with fridge magnets. I’ve never had them or missed them. You could get them, they’re not that expensive, or you could make your own set. You could also get the grooved set mentioned under Sandpaper letters that contains the numbers too. It’s so easy to make your own of these with a tackle box from the Dollar Store and permanent marker and Popsicle sticks. The great thing about the one I made is you can use it on the light table. We’ve used plastic stir sticks and plastic ice cubes from the Dollar Store. Pumpkin 1 much prefers my DIY Stamp Game to the original. And it was so inexpensive to make. Dollar Store tackle box, glass gems (I did have to hunt and pay more than I wanted for the red ones), permanent marker and wood peg people or you could use game tokens. I just wrote the numbers on the bottom of the gems with permanent marker and voila. Pumpkin 1 likes glass gems. The numbers do tend to get scratch off with rattling around in the box so one day I may coat the bottom in clear nail polish. This set doesn’t have everything the purchased Stamp Games does but we aren’t using those pieces yet and it won’t be hard to add. Not exactly a Montessori material but I highly recommend having one. We use it with the Golden Beads and the Stamp Game. It’s fast and easy to make your own. This one from Learning Resources isn’t that much cheaper but it’s magnetic so one bump doesn’t ruin all your hard work. Also you can write on it with a white board marker. It’s two sided, one with numbers and the other with just the grid. Another idea is just to print one off and use stickers. My kids LOVE stickers. I printed off the Teen Board from Montessori Print Shop and it’s been a hit. I find kids like velcro (I cut velcro to fit in the middle of the “0” of the 10). I bought a Ten Board. Big flop. Pumpkin 1 hates it. I should have just done a printed version. There is a 1-9 version and a teen version. They’re not traditional Montessori materials and not necessary to have. However my kids have always enjoyed doing them. I think they liked the fine motor aspect of hanging the beads. You could get the teen one instead of the Teen Board. But again, not necessary though nice to have. I love the bead materials. For the Golden Beads one could use base ten blocks but you’d need a lot for the Montessori works. You need at least 9 1000 cubes, 45 hundred squares, and lots of 10 and 1’s. So it may not be worth the cost in the end. Plus the beads really give a visual of the amount. I made my own bead materials (well I should say making, I’m not finished yet though I’ve completed the Golden Beads). I purchased the wood numbers for durability. You need 3 smalls sets and 1 large set. The purchased paper sets aren’t that much cheaper. You can also print your own small for $1 and there’s free large ones here. Making your own bead materials isn’t hard, just time consuming. Just make sure you use spherical beads not pony bead or you’ll wind up with rectangles. Pumpkin 1 likes my cheap home made beads better than the purchases ones I have because my faceted ones are more sparkly. Here’s a great tutorial on making your own bead materials (Just note, if you do use wood beads like she did, it’s not going to save you much money. Faceted beads are the most inexpensive way to go). For the wood 1000’s cubes I’d just go with the store bought ones for durability though you can make paper ones. I’d prefer them 3D for the sensory experience. They’re not too pricey. For the 45 100’s wood squares you can print ones off and laminate them. My kid prefer the felt one I made to our wood one. It was a lot of work and you can’t trace it to make your own maps but I like it and it takes up less space. The template is from Imagine Our Life and is free. We do have a world flag map which is a big hit at our house. Pumpkin 1 knows pretty much all the flags so I highly recommend it. But for the flags of all the countries this is what we did. The stickers are from this book and there’s two sets. One set I put on the maps that come with the book and put them in a binder and the other set I put on wood rectangles. I do have all the Puzzle Maps as I got a good deal on them on clearance. 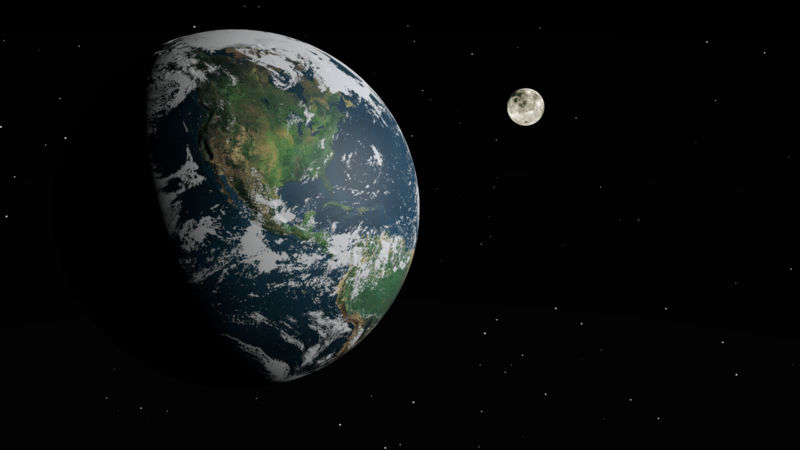 But one could use a globe and an atlas to learn the countries of the world. 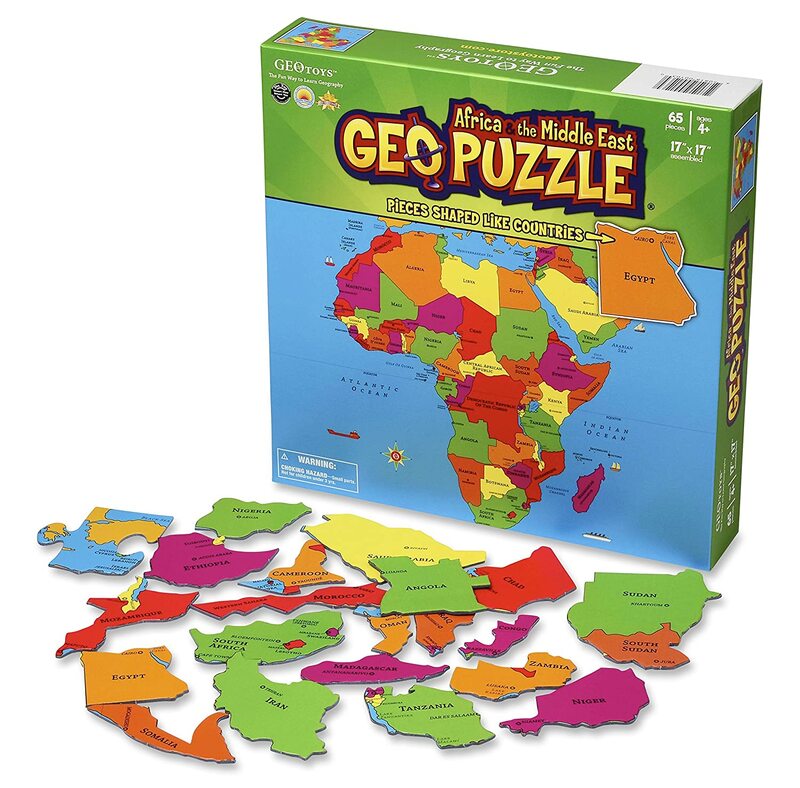 There are also these cardboard geo puzzles. If you do purchase the puzzle maps you’ll need a way to store them, they are big. My shelf is made out of an old end table. They’re nice to have. They’re not too hard to make yourself. I found small globes at the Dollar Store. This blog’s a great place for DIY ideas. Pumpkin 1 has always loved these. I’d recommend having them as they’re a great sensory experience. You can also make your own. You’ll also need a way to store them. If you purchase I recommend getting the cabinet too. Technically these are supposed to be folders of pictures. This is a great inexpensive way to go. But boxes are fun too. Take your time and don’t try to fill them all at once. I still haven’t done all the continents. Montessori Print Shop has lots of photos and maps you can print off. Many people like to add Safari Ltd Toob figures. You can put money in the box, books, flags, toys, whatever you come across. Popular in ours is Viewfinder reels. I do have these and the storage shelves and they have been very popular in my home. I didn’t realize when I purchased them that the Zoology ones corresponded to the types of Vertebrates and I don’t have the turtle and wish I did. If I were to purchase again I’d spend a little more and get the ones with the bones underneath to fit in with the activities on Vertebrates. I have this, I got a deal on it as it was a damaged display model. However we never use it. It’s not really necessary. The metal insets teach the same skill and there are other ways to teach the type of leaf shapes. Not exactly a Montessori material, we really love our life cycle figures. We have a combination from Safari Ltd and Insect Lore. Some are available on Amazon, some at Michael’s stores (don’t forget to use a coupon, Michael’s always has coupons). We also use Safari Ltd figures not just in our Continent boxes and Life Cycles but learning about insects and Vertebrate and Invertebrate sorting. They are great to ask for for Christmas and birthday presents. You’re probably not going to easily find an affordable set of Montessori Bells so you’ll have to DIY. I made my own staff materials. I used gems for the scale and I printed and laminated notes for rhythm. One could also just put their child in music lessons. Pumpkin 1 was doing piano for a while but we took a break. There is still other things you’ll need. You definitely need shelves. Ideally they should be child height but if space and storage is a minimum taller is better. Don’t forget to attach shelves to the wall for safety. 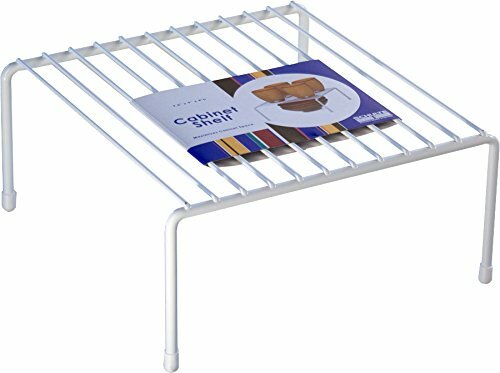 You can easily add more storage space to shelves by getting shelf board cut and buying shelf clips. Also these kitchen storage racks work great on cube shelves. Carpets from the Dollar Store or Walmart work well. Some people use towels. One with lines works well for the Moveable Alphabet. 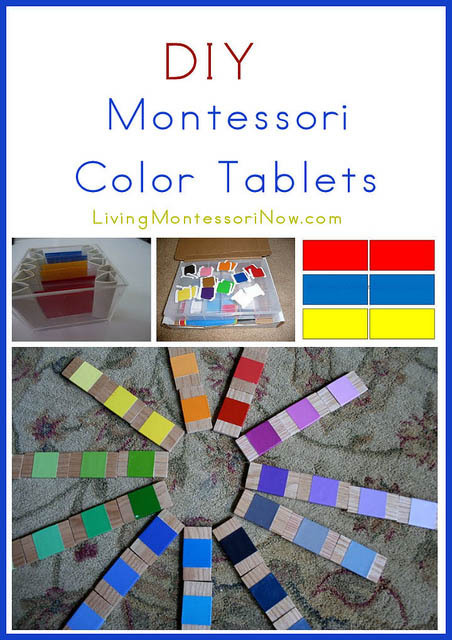 These are a MUST have in my opinion if you are homeschooling Montessori. I feel Keys of the World are excellent and the most affordable. There are many materials you can print off. Having a good laminator is a must. I have this one. It used to be for sale on Amazon.ca but it seems to be gone. You can check Walmart or Staples. 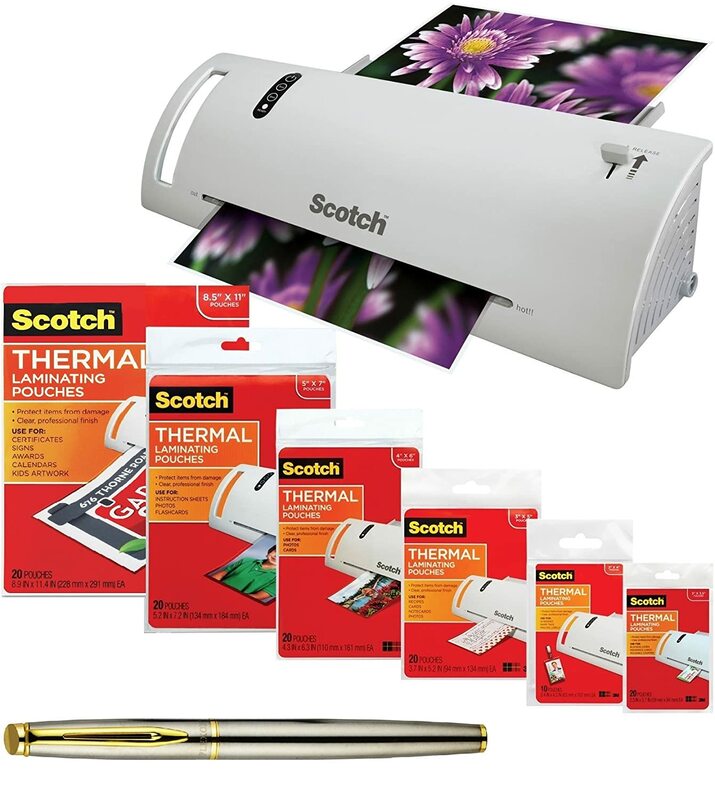 You don’t need a very expensive one but you will need lots of laminating sheets. You can get most of these at the Dollar Store or use items around your house. You’ll need lots of storage trays. I do like the look of wood trays but plastic works fine. There are lots of trays at the Dollar Store. Try to use all the same colour, like white or tan, to keep it from being distracting. So I know I’ve probably forgotten some things but I hope this is a pretty helpful list of the materials and what has worked and hasn’t worked for us. 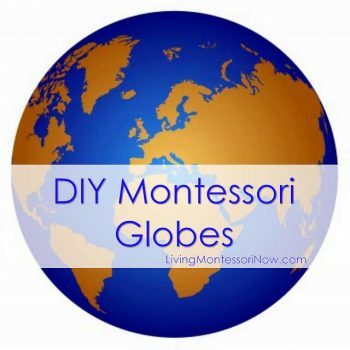 I hope it helps those who are just starting out make the difficult decisions on how to Montessori on a budget and what to purchase. Now of course I haven’t tried all the curriculum out there but these are the ones that have had great reviews and I too am enjoying using. Pumpkin 1 really needs help with her handwriting. We started with cursive and she knows her cursive lowercase letters to read but not to write and she wants to write in print so I’m going with that. The HWT program works very well with montessori other than being print and starting with capitals but those are easier for a child to form. 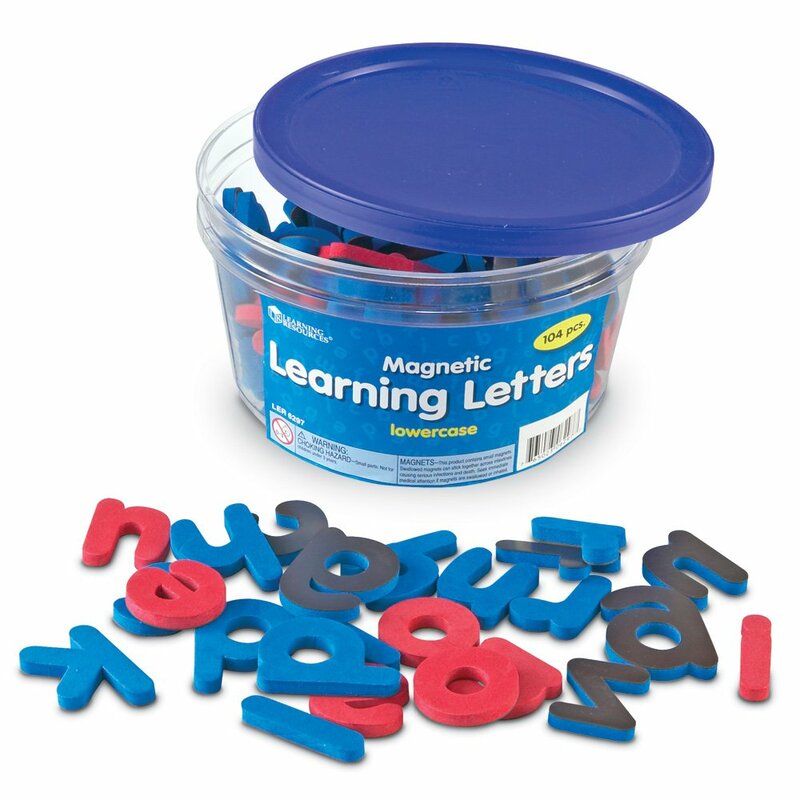 Also it doesn’t mean you can’t be teaching them lowercase letters for your moveable alphbet and sandpaper letters. The HWT program at first can be purely a fine motor exercise. This program is great and really helps a child to visualize numbers. I really like the use of the abacus. We combine it with Montessori Math as there’s nothing like the golden beads and stamp game. They’re just amazing. But I think the ability to visual the abacus in the mind makes a huge difference in doing sums in the head. I also plan to introduce the Japanese abacus when Pumpkin 1 is 6. This book is excellent and fits in perfectly with Montessori. It’s very hands on and lists a number of books for kids on each topic. It helps build a great foundation of understanding the world around us. It covers several grades. Many of the books recommend in it are from the series “Let’s Read and Find Out” which are wonderful books I keep adding to our small collection of them as we learn a new topic. I’ve found this to be an excellent reference to all the letter combinations and phonograms a child needs to learn. It also gives examples of words for each combination and sentences and paragraphs to read. I use it more as a reference than an actual curriculum. Pumpkin 1 for some reason doesn’t like using the moveable alphabet but likes workbooks. I was finding she just wasn’t getting enough practise with new word combinations or sounding out. When she reads she prefers to memorize words rather than sound them out. These workbooks get her doing more phonetic reading Though they seem to repeat the same type of activity over and over with just new sounds. We started with book 1 just for review and filling in any gaps. She likes to colour the pictures after she’s done her work in the book for the day. These are excellent Montessori Albums for a very reasonable price. I couldn’t get by without them. The theory album is a must read. 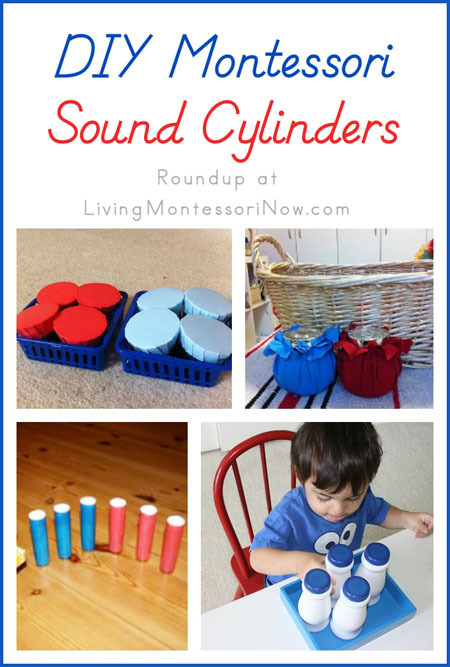 If you’re planning to homeschool in the Montessori method I highly recommend these. MagnaTiles have always been the most played with toy in my home and daycare. I’m amazed at the structures the kids build and as my kids get older they build even more creative ways and things I wouldn’t have thought of. Recently I added something fun that has increased the building level even more. Hexbug Nanos. The kids adore them and will spend an hour or more building mazes and houses for them. Having something that actually moves around your structure really changes the way they build and think about their buildings as opposed to the stationary toys they usually put in. This is one of the blogs that first inspired me to get a couple Hexbugs with my son’s ToysRUs gift certificate which we hadn’t used yet. I do recommend getting extra batteries as they get used up fast. They look like real bugs as they run around the mazes and structures. We have the V2 ones but climbing up only really works with the Hexbug play sets so the original ones are just as good for mazes and such. This is the “house” Pumpkin 1 built for her Hexbug. Parenting without Spanking, What Works? After a controversial post on my personal Facebook wall, there was a big discussion on spanking, something I don’t believe in using as a discipline method. Same goes for yelling. Now this isn’t an anti-spanking post. Instead it’s a “how do you discipline if you don’t spank?” post. The thing is, saying not to spank is pointless if you don’t give a parent tools that actually work instead. For me it’s not so much about spanking being harmful but about it being an ineffective parenting tool that often makes a situation worse rather than better. As you’ve seen in my post about parenting advice that annoys me because it doesn’t work, I’m about what works, what is effective, not just in the short term but the long term. Now I don’t pretend to have it all figured out. Parenting is a constant challenge and learning processes as our children are always changing and growing and there are always new challenges. But these are some of the advice and methods I’ve gleaned from different sources that I’ve found to not only be effective, but practical for a busy mother with other children to care for. Deal with issues immediately, don’t ignore them. It’s so easy to be caught up and busy with something that we ignore our children jumping on the couch and we yell at them a few times while continuing to do what ever it is we are doing and they ignore us until finally we get really angry and scream at them or march over there and spank them or generally it all goes down bad. And, in the end, what we’ve taught them is we don’t mean it until we’re screaming or spanking and they can ignore us until then. Instead, what we need to do is stop what we’re doing and go over there and remove the child, get on their level and look them in the eye and tell them to stop. Then we need to be ready for them to try to disobey and deal with them again immediately. There can be a consequence like time out. For young kids consequences should be immediate, not future things like “you can’t go to Tommy’s party tomorrow”. When we respond right away (which is really hard to do because we’re often busy) we teach our children that we mean what we say and we no longer need to yell or get to the point where we’re about to lose it. It also shows them they’re important to us. When we make the effort it is easier in the long run as our child learn to obey the first time and discipline only takes a few minutes rather than 10 mins of yelling and 5 of losing it and 5 of screaming and spanking and then 10 of a crying child in meltdown. This is a great tool for young children and doesn’t need to be used all the time. It works well when you need to get children to do something they don’t want to do. Make things into a game or fun and suddenly you have your child interested. Why fight over wiping their face while you try to hold still a sticky toddler who suddenly has 10 arms and the strength of a gorilla. The cloth is a little bunny that wants to give kisses. Here’s kisses all over your face. Muh, muh, muh. Recently my kids weren’t coming upstairs for their bath and I was too tired to go get them a haul them upstairs. I started singing “Five Little Speckled Frogs” really loudly and talking about how their toy frogs were jumping into the tub. They came running and wanted to play with the frogs. Yes, this takes a little imagination and creativity but that’s really less energy and work than trying to convince a stubborn toddler to do something or physically wrestling them into it. A child that is being defiant often and seems to be acting out for no reason often needs to reconnect with you. This is true at any age. Relationship is so important in parenting. Something could be bothering them, maybe a bully at school, or a fight with a friend or they’re scared about an upcoming test. Giving them time to connect with you and talk and feel loved will do wonders. One on one time with your children is so important. My children are so happy after I take just one of them with me somewhere. Even just taking a child who is having a bad day on your lap and reading them stories may be enough to turn around the day. They feel so special and loved. Now of course as a mother with more than one child as soon as you take one kid on your lap the other one wants to join in. If you can convince your children one at a time do so, if not move to somewhere where you can call cuddle and read a book together. Family time should be very important. Plan family trips together. Have family game nights. Have family dinners. Make connecting as a family top priority. The book “Hold on to Your Kids” talks about the importance of spending time with your kids. Children crave to be independent. As a parent you know that your child has a mind and opinions of their own. That’s good. You are raising someone not to live with you forever, but to one day be independent. There is nothing more confidence building in a child than independence. There are many ways to do this. Simple things like a stool in the bathroom so that they can wash their hands themselves. Letting them pick out their own clothes to wear. Who cares if it doesn’t match. Let them climb the slide at the park. Teach them to put their dishes in the dish washer or to help empty it. Teach them to put their clothes away or to put their shoes on. Give them responsibility. They can have a spray bottle and wash windows or feed the dog. Let them help make dinner. Young children are quite capable of doing many things if they’re taught and given the opportunity. A child that has more independence is less likely to turn every single thing into a power struggle because they feel that they have some control over their life. The Montessori approach has lots of information about teaching and allowing our children to be independent. Take time to step back and think. Now this seems to be the opposite of dealing with issues immediately. But there are so many different parenting situations. This is for when you’re feeling overwhelmed, or you’re about to lose it or you’re not sure how to deal with a behaviour. It’s ok to not respond right away at these times. If you feel you’re about to lose it then walk away. Go somewhere alone (the bathroom works well) and just try to breath and think clearly. (of course make sure your child is safe before leaving them alone). Often when you stop to think you’ll realise a better way to handle the behaviour than your initial response would be. Maybe you’ll realise that your child is hungry and so giving them a snack would help. Maybe you’ll realise that they’re upset about something that happened earlier so you can talk about that. Maybe you’ll realise that they need time alone to calm down and you’ll put them in their room or time out. Maybe you’ll realise that they need a talk about hitting or they need to learn alternative ways to deal with their anger. There are so many situations, only a clear head will help you think of the best way to deal with that particular one. Now I will warn you, if you lock yourself in the bathroom your kids may stand outside the door and scream and bang on it. But just not having them in the room with you does help. And I tell my children often that parents get frustrated and angry and sometimes need space. That sometimes mommy needs to be alone to calm down and I’ll be right back after. That when mommy needs space you need to leave her alone for just a few minutes. I let my children know what I’m doing and that I’ll be right back so they don’t feel abandoned. It also is a great model for your children about how they should handle their anger. Also be aware of times you’re under stress or tired, these are times you’re more likely to have a “mommy meltdown”. Be kind to yourself on those days. Keep your daily plans simple. Try to get enough sleep or have a power nap, make sure you eat and drink. Remind yourself that your lack of patience is coming from these things not your children. Just like it’s hurtful when our spouse’s takes out their work or money or other stress on us, it’s hurtful if we take out our stresses on our children. When you correct your child you need to get down to their level, look them in the eye, touch them by holding their arms or shoulders (gently but firmly) and speak in a low firm voice. Yelling across the room is not as effective at all. It seems like more work (especially when your kids are short and you are tall) but it’s really more work to yell and yell and yell again and then march over there and yell and spank or whatever you end up doing. Don’t discipline your child one day for throwing their cup because they don’t like that colour and then not the next day. If a child gets away with a behaviour one day but not the next it’s confusing for them. If you scream at them one time and then ignore them another, they’re going to experiment and see what happens the next time. You also need to keep a pretty consistent routine. Bedtime should always be at the same time except for special occasions. If you let them stay up one day they’ll want it the next and the next. Routine helps a child feel secure. They don’t know what the plan is in your head. They can’t read the calendar and they have little concept of time, so having a consistent routine gives them security and predictability. And let them know what they can expect. “Today you have a doctor’s appointment. After we eat breakfast we’ll get in the car and go there and then we’ll come back and have a snack”. Give them warnings before a big transition is about to happen. “In 5 minutes it’s time to clean up your toys and then get ready for bed”. Don’t make threats you’re not going to keep. Children are smart. If you threaten that if they don’t go to bed now that you won’t go camping tomorrow, they know that you don’t mean it. Especially if you’ve been saying it all day long or you make threats like that often and don’t keep them. Think before you proclaim a consequence. Do you really mean it? Are you really willing to follow it through if the child doesn’t obey? Once a child knows that you mean what you say, then when you make a threat it has a lot of power. It just takes one time of telling a child, “if you don’t put your shoes on you can’t come grocery shopping with mommy” and then you leaving without them because they didn’t put their shoes on, for them to jump into their shoes the next time. Natural consequence are best when possible. Natural consequences aren’t always practical or desirable, but they do have an important place. A consequence tied to the negative behaviour is more effective. Like the above example of a child not being able to go with you because they didn’t put their shoes on. Or a child won’t put their coat on so they’re cold when they’re outside. Or they won’t clean up their toys so the toys are taken away (ours go in the basement for a few days to weeks). We use time out often. Tantrums end fast when there isn’t an audience. We have a gate at the top of the stairs and I always tell them: “You need some time to calm down. When you are calm you can call me and I’ll come get you.” I don’t usually time it. It’s based on their being ready to come down rather than a certain number of minutes. Sometimes a child just needs to cry and scream. I know even as an adult there are times I want to just scream. So allowing them to do that in a safe place that isn’t bothering everyone else can help them let out those emotions so then they can get control of themselves. I find my kids are much happier after and then want to cuddle. When I come back I look them in the eye (the Lower, Look, Touch) and tell them the behaviour that is not allowed and give them acceptable alternatives and then I hug them. Lots of active gross motor play. Children are active. They need to run and climb and jump and roll and throw. Often they can’t control those urges just like they can’t often control the urge to go to the bathroom until older. Giving your child chances to meet that need makes them more settled and relaxed. Also learning to control their body by developing balance and coordination later translates into self control in other areas. Children need this type of play every day. If you have the space, create an area for active play in your home for days when you can’t get outside. You can also try indoor play places like at McDonalds or just pushing the furniture back and putting the couch cushions on the floor. Though TV initially can be a lifesaver and seem to calm a child down, in the long run it over stimulates them and makes them mentally tired and we all know tired children are difficult. If you do need to put the TV on look for calm shows that don’t have a lot of jumping around and scene changes and noise. Slow shows like Mr Rogers Neighbourhood or Mr Dress-Up are good. Little Bear, Franklin or even nature shows. My daughter loves watching Chris Hadfield’s videos on YouTube over and over again. It’s similar with noisy, flashy toys that entertain rather than engage a child. Focus on open ended, battery free toys like blocks, building toys (like lego), simple dolls, playmobile, puzzles, books. If you feel overwhelmed by a toy that is singing and flashing over and over, your child probably is too but they don’t have the brain understanding to realise that the toy is making them feel overstimulated. A cluttered over-stimulating environment can contribute to cranky overstimulated kids. Your house doesn’t have to look like a magazine but our children often have too much stuff and it’s overwhelming for them. Purge their toys and rotate others and organize. Less is more when it comes to calming environments. The book Simplicity Parenting explains this well. Work with their brains not against them. I highly, highly recommend the book “The Whole Brained Child“. A child isn’t fully developed. You wouldn’t punish a 6 month old for pooping in their diaper, so why punish a 2 or 3 year old for behaviour they can’t control? The book helps you understand their brain development and how to help them make more connections. Here are some of the tips from the book to help your child integrate the parts of their brain that often aren’t connecting when they’re misbehaving. -Connect emotionally with the child by naming their emotions and voicing their feelings. Now you’ll probably find this often makes the child think that you’re going to give into them and then causes more crying, however it is important that you help a child understand what it is they’re feeling and why. People who grow up not understanding why they feel and do the things they do often struggle as adults. A person who can say, “oh, I’m feeling angry with my spouse because I’m sill disappointed that they forgot our anniversary last week”will be be better able to work through their emotions and heal their relationship. -Get the child moving. Movement helps the brain reconnect the parts. After acknowledging their feelings get them moving by tickling, roughhousing, racing. Find some way to get them active. -Help your kids exercise their memory. The books gives examples of how to do this but memory helps develop the brain and helps children to learn to use logic rather than emotions when responding to circumstances. -Talk about the day with your child. Talk about the good parts and the bad parts. Discuss ways they could deal with a situation better next time. Discussing things when your child is relaxed and open is going to influence them more than yelling when they’re frustrated and angry. And let it be a discussion not a lecture. Let them think of ideas and explain their feelings. The more they exercise critical thinking the better they’ll be able to use those skills when emotional. -Teach your kids that emotions change. Young children don’t realise that in 10 mins they won’t be mad any more. Tell them what they’re feeling right now isn’t who they are. They are not sad, they feel sad. Reminding them of how they felt yesterday when doing something fun shows them that feelings will pass and they’ll feel better. -Teach children to direct their thoughts and relax their bodies. Your physical body has a huge impact on how you feel. Though the term “mindsight” sounds newagey it’s probably something you already do. Thinking of a place that you feel relaxed, like a hammock by the lake when you’re feeling stressed, or imagining that vacation last month. Slowing your breathing or trying to relax each part of your body when you’re trying to fall asleep are all examples of mindsight. Children can be taught these techniques on a simple level. Changing what we’re focused on can change how we feel. It works for us as parents too. When we’re feeling overwhelmed or furious with our kids, thinking about how cute they looked when sleeping or how they came a gave you a big hug this morning can instantly change your emotions. Just telling a child not to do something is only half of parenting. The other half is giving them alternatives to deal with their feelings and situations. If your boss yelled at you and told you that’s not how you use the photocopier but then stormed off and never told you how to actually use it, how would you feel? What would you do? Stories can be great ways to give our children the tools they need to change their behaviour. We have a a couple great books about feelings which lets the reader pick different endings for how the child deals with their emotion. They also give me ideas to suggest to my children when they’re dealing with those emotions. I’ve mentioned these before and how much the kids loved them. I recently found a set with 3 cubes from 3 add on sets for sale at our local toy store and had to get them. They sparked a renewed interest. As the brain thinks in pictures but communicates in words, having a visual aid to creative problem solving would be advantageous. Using images to trigger stories would help the brain think in new ways. Story telling is beneficial in many ways whether the parent is telling the story or the child. Listening to story telling increases vocabulary, encourages the child to visualize the story in their head, promotes auditory skill and challenges their memory. For a child telling a story it helps them develop linear progression in thought, creativity, imagination, speaking skills, memory, brain connections and more. It’s also a great way discuss and work through anything the child is struggling with. A parent could make up a story on the subject giving words for the emotions and ideas for solutions. Story telling is used often in Waldorf pedagogy to address issues with children. The book, “The Whole Brained Child” talks about getting children to tell the story of something that happened to them to help their brain integrate their emotions with the reality. A child who is scared to relive a traumatic incident can project those events into a story about someone else. The more stories your child tells and hears the better they will get at doing it. You’ll also find your own brain being stretched as you come up with stories. That’s great for preventing dementia later in life. Here’s some snippets of a story Pumpkin 1 was telling me. Now that I’ve caught your attention I want to clarify that by “school” I don’t mean a specific curriculum or something teachers teach. I mean “school” as a whole. As an environment beyond lessons. School is the place where children learn about gender rolls. It’s where they learn that boys can’t like pink and girls can’t like math. Where they learn that boys must be rowdy and girls demure. Where girls must play with barbies and boys with dinky cars. Where if you still play with groovy girls you’re a baby or you cry you’re a sissy. Where the backpack you once loved was for babies and the dress you adored was ugly. Now of course it’s not usually teachers teaching this, but it comes from the children themselves. Things they’ve learned from their parents or from TV. School is the place where children learn that there is a “normal” that they must fit into or be an outcast. I don’t want my children questioning their gender. I don’t want them to learn to question who they are. I want them to just be who they are. I want them to like what they like and play how they play without reference to gender. I don’t want their dreams crushed because little Suzy said “girl’s can’t be astronauts” or Billy said, “Those shoes are dumb”. Eventually my children will learn society’s norms for gender but I hope by then they’re confident in themselves. Visit Alisa Hastie's profile on Pinterest. Raising today's Americans to be tomorrow's Canadians. Creative living with a toddler!